There are three dolls to choose from that are half price. They are the Pink Hoodie Guacyra Doll*, Lenaya Doll* and the Violet Anna Doll*. They are all priced at only £19.99 down from £40. They are all 46cm dolls so are a great size for the Our Generation clothing and play sets. 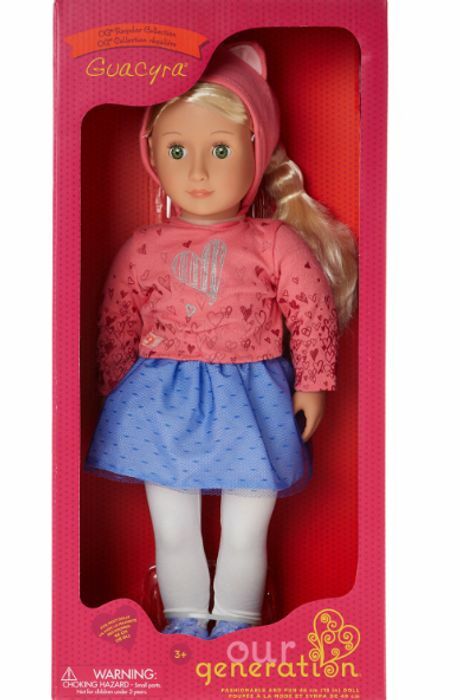 You will also find the Multicoloured Isla Doll* which comes with lots of accessories. She is normally £55 but you can order her for only £34.99. Also available is a Deluxe Outfit Ensemble* which consists of a black jacket, a pair of polka dot trousers, a checked shirt, sunglasses and shoes. It is down to £12.99 down from £20. Keep your eyes peeled as they may add more items when new stock arrives. Home delivery is £3.99 and becomes FREE when you spend £50 or more. You can also Click and Collect your order to selected TK Maxx store's for FREE.